Roof coating manufacturer’s focus on delivering products that perform, here at National Coatings, we focus on our products and our customers. We are constantly striving to be a leading manufacturer and supplier of durable, energy-efficient and environmentally friendly weatherproofing. Our products have had over 34 years of proven performance and have been in service on hundreds of millions of square feet of low-slope, commercial roofs across the United States and various other countries. The AcryShield roof coating line has more UV blocking pigments, are richer in performance polymers, providing strength, elasticity, adhesion and durability, contain ultra low or ZERO VOC’s, have few water sensitive ingredients, and incorporate advanced microbial protection. The AcryShield products meet rigorous standards set by ASTM, AIA, FM, ICC-ES, UL, ENERGY STAR, CRRC, Miami-Dade County, and LEED. It is no wonder why Fortune 500 customers choose our top of the line, award winning, and industry leading roof coatings to solve their roofing needs. If you are interested in working with National Coatings, contact us at 800-423-9557 or fill out our Approved Applicator form. If you are interested in our superior line of high quality roof coatings, download our Free Product Brochure. National Coatings Corporation (NCC) is pleased to announce the delivery of their upgraded ICC-ES evaluation report - ESR #2140. This new report provides evidence that the four recently added AcryShield Roofing Systems meet code requirements and includes the addition of the AcryShield and AcryPly Roof Coating Systems compliancy with the new 2012 IBC codes. ICC-ES Evaluation Reports are utilized by building officials, architects, contractors, specifiers, designers and others to provide a basis for using or approving roofing systems in construction projects under the 2012, 2009 and 2006 International Building Code. 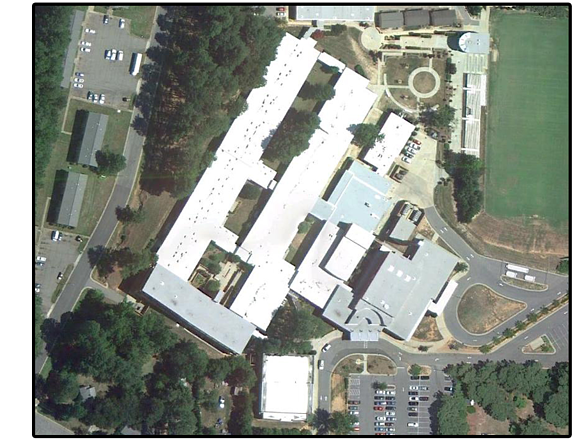 ICC-ES thoroughly examined National Coatings’ roof coating systems information, test reports, calculations, quality control methods and other factors to ensure these roofing systems are code-compliant. The addition of our newly compliant roofing systems increases our total approved AcryShield Roof Assemblies to fifteen. These roofing systems are ideal for new construction, restoration, maintenance and roof repairs. National Coatings prides themselves on their dedicated customer service and ability to truly help those who are in need of roofing solutions. Therefore, we wanted to provide a list of websites that are excellent tools for gathering roofing information and roofing solutions. Fun Fact - Twice, National Coatings has been selected from over 175 major roofing manufacturers as the EPA's ENERGY STAR® Partner of the Year. These prestigious awards not only recognize outstanding success at promoting energy-efficient roof products, but also single out National Coatings for its innovative use of decision-making software tools, its dedication to promoting quality & long-term performance, and its intensive efforts to educate contractors, specifier’s and building owners surrounding Cool Roof Systems that offer superior weatherproofing at lower energy & life-cycle costs. NCC is the only roofing products manufacturer to receive this award to date. RRCI is the premier forum for reflective roof coatings discussion and, as such, membership is open to all who have an interest in reflective roof coatings, including architects, applicators and manufacturers. However, our primary members are manufacturers of reflective roof coatings and raw material suppliers. NRCA has been the professional voice of its members since 1886. With more than 3,600 members, NRCA is the leading authority in the roofing industry for information, education, technical assistance, advocacy, publications, programs and support that help your business grow. The Western States Roofing Contractors Association has been servicing the western United States roofing profession since 1974. Our 600+ members are educated, professional roofing contractors and vendors who are committed to providing the highest quality service to customers. RCI's Professional Membership includes over 1800 skilled individuals, whose specialties include designing, repairing and managing roofing, waterproofing and exterior wall assemblies. Many also specialize in forensic investigation, expert witness testimony and construction document preparation. 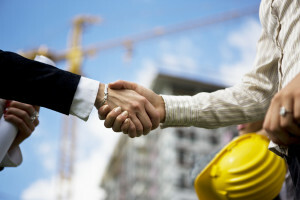 The Roof Coatings Manufacturers Association - is a strategic partnership of roof coating manufacturers and affiliates that provides a unified voice to advance, promote, and expand the international market for roof coatings through education, technical advancement, and advocacy of industry issues. Are you looking for roofing solutions for your aged or leaking building? Consider roof coatings - Download our Free Guide to Buying Roof Coatings for more information. For a full list of all of National Coatings product ratings, look at our Credentials & Ratings webpage.